Climb aboard for a memorable night-time train ride through a holiday wonderland. Meet Santa and his elves, sip on a warm cup of hot chocolate, enjoy music and complimentary festivities including holiday make 'n' take crafts for kids. On sale to Members now, and to non-members 11/14. Tickets $16. Call or check website for times. Sitar India Cuisine, 3630 Durham-Chapel Hill Blvd. The popular American one-act opera, presented by the Durham Children's Choir and Duke Memorial United Methodist Choir. Tickets $10, $5 for children and seniors. Th & F 7:30pm, Sa 3:30pm. Duke Memorial United Methodist Church, 504 W. Chapel Hill St. In the American heartland three kids struggle to create a makeshift family. And when the outside world barges in, the only things that can protect them are love, loyalty, and marksmanship. A hilarious, heartbreaking, and gently subversive story of real family values. Tickets $17 F-Su; $15 W-Th (discount for senior (62+), military, and students with i.d.). Featuring the acrobats of Acro Entertainment, gospel music gy the multi-generational, multi-ethnic 100 Men in Black, and holiday hits from the Victorian Carolers and WG Pearson Elementary and Middle School Choral Groups. FREE. Founded in Durham, the Chocolate Drops link with two centuries of black string music in the NC Piedmont, but their high wire live shows are as likely to rework contemporary R&B as old-time Appalachian folk. Tickets $24-$52, $5 Duke students. Reynold's Theater in Duke's Bryan Center, Science Dr.
Ages: 18+ (all ages with adults). Admission $8. Celebrate an 1870 Christmas during the evening candlelight tours of the Homestead. The Homestead tour features period decorations, caroling, hot apple cider, and other goodies. Additional entertainment will be available in the visitor center. FREE admission. Duke Homestead State Historic Site and Tobacco Museum, 2828 Duke Homestead Rd. The Duke Jazz Ensemble, directed by John Brown, welcomes guest artist Tom Browne, trumpet. Tom Browne played with Sonny Fortune and Lonnie Smith in the 1970s before making a splash with his album, Browne Sugar. He is well-known for his R&B hit, "Funkin' For Jamaica (N.Y.)." Tickets $10 general/$5 students and senior citizens. Join Maestro William Henry Curry and the Durham Symphony for an evening of holiday favorites and a few surprises featuring guest soloist Rozlyn Sorrell and the Hillandale Childrens Choir. Silent auction, cash bar, sing-along, and desserts by Durham’s best bakers! Tickets $15-$30. Durham Symphony Orchestra, 120 Morris St.
His dry, sarcastically irreverent commentary on everything and everyone has made Michael Ian Black a counterculture legend. With more than 1.6 million Twitter followers and an impressive resume dating back to MTV's The State, Black has solidified himself as one of America's top comics. Tickets $21-$31. December is a month filled with anticipation and excitement yet it also brings stress and over stimulation that drain our energy. In these challenging times it is essential to get understanding and develop tools that will help us stay afloat emotionally. Cost $20, $15 RRC members, $10 students. Folk duo. Followed by Stripmall Ballads (folk/indie). FREE admission. Karaoke party. FREE with $2 membership. Smooth jazz and R&B. Tickets $10. Dinner plates, featuring signature pork ribs in specialty sauce, and trout fillets in a special breader. Includes green beans, potato salad, a roll, and a drink. Cost $10. Rib slabs $22. Holy Cross Catholic Church, 2438 S. Alston Ave. Shoot for turkey, ribeyes, country hams, sausage, bacon, cheese and more. Shotguns only. No scopes. Gorman Ruritan Club, 2400 E. Geer St.
No experience necessary, all levels are welcome. Suggested donation $15-20. Eno River Unitarian Universalist Fellowship, 4907 Garrett Rd. Duke Chapel Choir's annual performances with Orchestra. Tickets $15, $5 non-Duke students and youth 12-17, FREE for the first 200 Duke students. Children under 12 will not be admitted. 7:30pm F, 2pm Sa, 3pm Su. "Christmas in the Big House, Christmas in the Quarters"
See and take part in traditions that were part of Christmas celebrations for both the planter family and the enslaved community. Walk through an 18th century plantation home decorated for the holidays and orginal slave quarters from the 1850s. 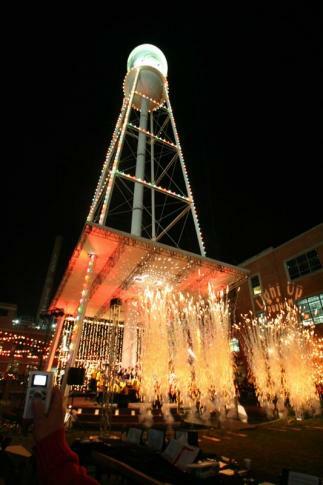 The experience of holiday festivities is recreated though vendors, artisans, decorations, crafts, games, food, and music. FREE, but donations accepted. Historic Stagville, 5828 Old Oxford Hwy. An all-Liszt program in honor of the master’s bicentennial, including the Sonata in B Minor - that deathless ode to Schumann - and the sublimely darkening later work Nuages Gris. Tickets $22-$46, $5 for Duke students with ID. Workshop by Rick Tufts, Head Brewer & Owner, Triangle Brewing Company. Cost $40. Essential oils are more than just a pretty smell! Make up a 1-oz. blend to use in cleaning, gardening, pest control, or other use. Materials provided; door prize for one lucky student. Teens and up. Suggested donation $5-10. Ticket includes sumptuous hot breakfast buffet, your child's photo with the original St. Nick himself, crafts, face painting and tattoos, story telling and more. Pick up all your holiday goodies at the Youth bake sale. Purchase raffle tickets to win great prizes. Door prize drawings every 15 minutes. Admission child-$4;adult-$5;family-$20. Northwood Ravin, 3541 Rose of Sharon Rd. Festivities include Peppermint Plunge Snow Sledding (sleds will be provided); Petting Zoo, Merry Mini-Parade, Community Care Corner (write messages to soldiers in the U.S. military), North Pole (meet-and-greet with Santa and various holiday vendors) and Holiday Eats & Treats (food vendor lane). FREE. Meet Santa and receive a free gift. Cosmic Glow Golf, 1058 W Club Blvd. This gala evening of wine, dancing and a live auction is sure to get you into the spirit of the holiday season. Shop for that special gift in silent and live auctions, complete with an array of lovable teddy bears. All proceeds benefit pediatric programs at Duke Children's Hospital & Health Center. Actress Phylicia Rashad will host. Tickets are $250. Featuring locally handmade fine art and crafts including art glass, fiberwork, jewelry, mosaics, papercraft, photography, pottery, woodwork, and more. Enjoy shopping and light refreshments while you learn more about SeeSaw Studio’s work with youth artists, yoga class offerings by Patanjali’s Place, and the Central Park School for Children. FREE admission (with $3 membership)..
Bring nature indoors with a holiday swag or wreath. Staff will create several centerpieces to demonstrate tips and techniques for turning greenery, colorful stems, berries and pods into scented holiday finery for your home. Participants will then make their own wreath or swag. All plant materials and ribbon will be supplied. Please bring a small pruner and any embellishments you would like to add. Cost $65; $50 Gardens members. Acoustic/blues/rock. Followed by Wiliam Walter (alt/jazz/rock). FREE admission. Dress to sweat off your capitalist blues, and join FIST in occupying the dance floor for a night of rock and hip hop. Featuring boogy-enducing DJ’s & some music and spoken word sets from *TripKnight** The Beatnam Vets* *Lucky Strikes* *DJ Yammy* Admission$5 (21+)/$7 (under 21). Featuring estate grown wines from small family-owned wineries. FREE. Wine Authorities, 2501 University Dr. Spend some time planning your new rose garden for the upcoming spring then stroll through the Christmas tree lot where you are sure to find the perfect tree for the holidays. Enjoy hot cider and holiday treats. Find unique gifts for your friends and family. Start the season with a little holiday fun and go home with a beautiful wreath. Fresh NC wreaths will be available for purchase that day at 15% off. Cost $10 for supplies, which include an assortment of ribbons, ornaments, and decorative additions such as colorful birds and berries. Limit 15, and pre-registration required. Theatre In The Park's original musical comedy adaptation of A Christmas Carol is based on the book by Charles Dickens. Tickets $27 and up. With Midtown Dickens and Phil Cook and His Feat. Sliding scale of $7-$10, with $2 membership. Featuring Big Bang Boom. FREE admission (tip jar passed). Reynolds Theater in Duke's Bryan Center, 120 Science Dr.
A safe, alignment based yoga designed for the older practitioner and for those who simply wish to move a bit slower. Upbeat, gentle classes offer a full, engaging experience for all abilities. FREE. With Colbie Caillat, Hinder, Andy Grammer and The Cab. Tickets $15. Featuring family-friendly storytelling with Rachel Galper, live Klezmer music, an Israeli-style shuk (marketplace), a world-record-breaking dreidel spin, and a lesson from the Israel Center in making (and eating!) sufganiot (Israeli Hanukkah donuts). To break the record 575 dreidels will need to be spinning at the same time, so bring a dreidel if you have one. Admission $5, $3 Center members. "1850-1950: The Viola Emerges. Music from Schumann to Stravinsky." Jonathan Bagg is a member of the Ciompi Quartet and Professor of the Practice of Music at Duke University. Pianist Jane Hawkins is Professor of the Practice of Music and Chair of the Department of Music at Duke University. Music by Mark Holland. FREE to patrons. Experiment with various techniques that will transform old quilt pieces into new creations. You will create a set of iron-on appliqués, a greeting card, a pillow top and a piece of quilt art on canvas board all from old quilt pieces. Ages !4+. Cost $35. Featuring 115 groups and individuals, including Southern High and Jordan High marching bands, local elected officials, dance troupes, floats, jump-ropers, antique cars, carolers, clowns, Boy Scout and Girl Scout troops, horses, local businesses, Durham police, the Durham Sheriff's Office, Bears and Fire Department trucks with an appearance by Santa Clause. Parkwood Neighborhood, Sedwick Dr. and Revere Rd. Get your pet's picture taken with Santa. Annual fundraising event to benefit APS (Animal Protection Society). No reptiles please. Listen to mysterious and magical Jewish fairy tales and fables from Howard Schwartz and Peninnah Schram as retold by Rachel. Suitable for ages 4+. Cost $20 per family, $10 Center members. Visit an evolved mill seat that shows evidence of a "tub" mill, the simplest of all water-powered devices, that evolved into a major milling operation over a span of, perhaps a century. Beside the mill seat, there are several wagon fords and a horse ford over the Little River to be seen. Sturdy shoes are advised. Pre-registration required. Cost $10. In "Memoria," award-winning, Durham photographer Kevin Logghe explores the phenomenon of emotional memory through the medium of Platinum/Palladium images. In "Selections from a Dutch Cabinet" he presents smaller works in unconventional 2-D and 3-D settings that evoke the collector's cabinets of the 16th Century. FREE admission. For the holiday season, Claymakers presents an excellent selection of pottery for the clay lovers on your gift giving lists! Featuring work of Sasha Bakaric, Doug Dotson, Corinne Fox, Deborah Harris, Laura Korch, Barbara McKenzie, Marsha Owen, Elizabeth Paley, Gillian Parke, Ronan Peterson, Teresa Pietsch, & Evelyn Ward. Northgate Mall Center Court, 1058 W Club Blvd. Non-profits and/or their private sector supporters will decorate 75 Christmas trees. Prizes range from $1,000-$5,000. Fans will select the top three prize winners by texting their votes or voting online starting at 8pm on Friday, Dec 2, coinciding with American Tobacco's tower lighting next door. Entry fee $150. See website fro all requirements.